You see this past Wednesday evening I attended a Stampin’ Up! sponsored event called Unite and Excite down in Mason Ohio. Well you see one of the things we got to do was play with the NEW Blendabilities Alcohol Markers that will be coming out. Each table got to stamp the Vivid Vases stamp with the Black Memento pad then we had 4 different sets of the blendability markers (Cherry Cobbler, Melon Mambo, Pumpkin Pie, and Daffodil Delight) to play with. I did vases in each of the 4 color groups. WOW…were these ever fun and EASY to use. And look…it actually looks like I know how to color! Now I can hardly wait for when we can actually be able to buy these and show these off! Oh…just soooo cool! 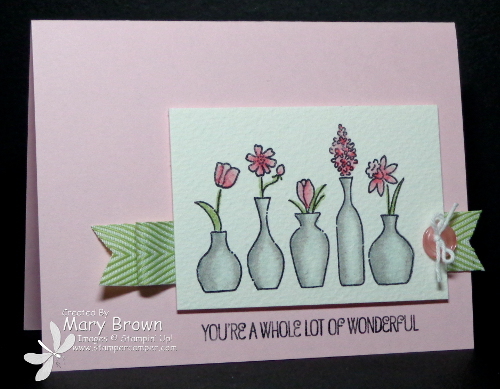 Now I did cut out my vases and added these on because my stamping wasn’t all that straight on the page. Oh…and one more REALLY cool thing about these new markers…they are FANTASTIC for coloring rhinestones and pearls! Yep…those rhinestones I colored with the markers! Whisper White – 4 1/4 x 4. Stamp image using StazOn Jet Black (NOTE: This was for the BASE image NOT the Vases!). Color in the flowers using Cherry Cobbler and Real Read. Add strip of white Real Red/White Wide Striped print 4 1/4 x 1 1/4 to bottom of Whisper White piece. Add Gumball Green Stitched Satin Ribbon then add to card front. See…isn’t this just a FABULOUS sketch! Don’t forget to check out the other members of the team and remember go to the Technostamper blog to play along! 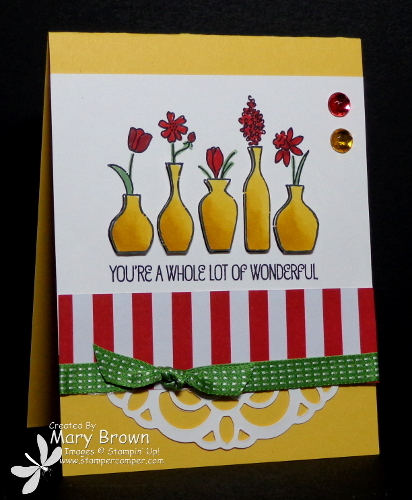 We are just starting Week 3 but it is NOT too late to JOIN US for our NEW Card Create-tions Edition featuring stamp sets in the Main and Occasions catalogs! 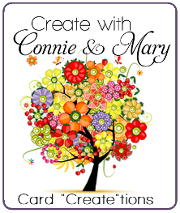 Welcome to Day 4 of the Create with Connie and Mary Spring Collection Preview Week. Today one of our Design Team (who is truly the “Queen of Clean”) is not only sharing a FANTASTIC card set for you (HINT: what set is she using….hmmm…maybe MY card is a hint!) with a FULL FREE TUTORIAL but she is also offering BLOG CANDY!!! So who IS this talented lady? Head over to Create with Connie and Mary to find out! And remember…Early Bird Special END Saturday Save $5 by signing up NOW for only $24.95! Okay…a little about my card. I LOVE the idea of watercoloring but well…I’m not that great with it and it TAKES ME FOREVER!!! We will NOT discuss how LONG it took me to do this little image! Usually it take me longer to take my picture, crop and copyright it, do a blog post then post it around then it take for me to make a card. Today..NOT!!! But I do think it turned out pretty and the watercoloring isn’t half bad! 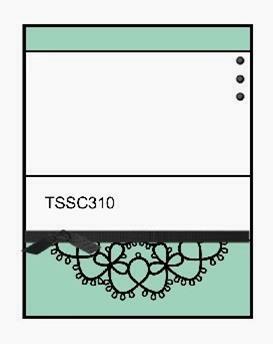 I’m REALLY looking forward to the NEW ALCOHOL MARKERS Stampin’ Up! is coming out with! Watercolor Paper – 2 1/2 x 3 1/4. Stamp image using Stazon JetBlack ink. The vases are colored using Smoky Slate and blender pen, the stems/leaves are all Pear Pizzazz, the flowers are Primrose Petals and blender pen. I folded some Pear Pizzazz Chevron Ribbon and added to the left side then just did a ‘tail’ on the right side and added this behind the panel. I added the panel using dimensionals. To finish it off I took a Pink Pirouette medium button, tied some white baker’s twine on it and added it to the panel using dimensionals. Early bird special – $24.95 for 4 weeks of EXCLUSIVE project ($5 savings) goes through Saturday! And don’t forget…with PREVIEW WEEK comes BLOG CANDY!!! 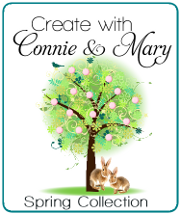 Head over to the Create with Connie and Mary site to see who is offering it today…remember….she also has a FULL FREE TUTORIAL for you!